The budget fitness trackers' market is growing rapidly in the Indian technology space. The recent reports by IDC suggest that the smart wearables saw two successive quarters of double-digit growth. The smart wearables manufacturers shipped 102,000 units in the 2018Q3, making it the first quarter to cross the 100,000 units shipment mark in the country. What this means is that the country's young health-conscious millennials are not holding themselves from taking help of wearable technology to lead a healthy lifestyle. Xiaomi is leading the wearable market in India (IDC) with 41 percent market share. GOQii holds the second spot followed by Titan, Samsung, and Fossil. But today we are not talking about Xiaomi, GOQii or Samsung. 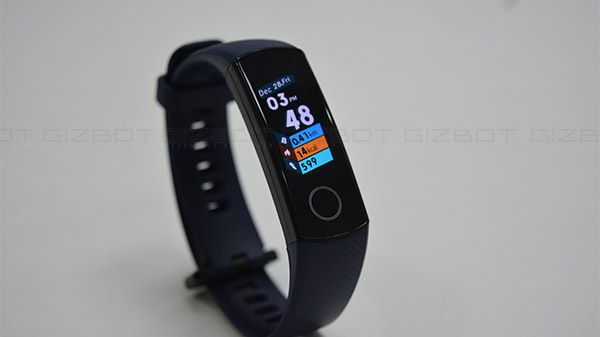 We are going to take a comprehensive look on Honor Band 4, the most recent addition to the list of inexpensive fitness trackers in India. Priced at Rs. 2,499, Honor Band 4 is engineered to offer high-end fitness-related features to price-conscious consumers in India. Honor's fitness tracker is competing against Xiaomi Mi Band 4, which as per reports is the most popular and well-received budget fitness band in the Indian market. Having said that, I used the Honor band 4 for a week in my everyday routine to understand how it can help me attain a healthy lifestyle. Did it work? Let's find out. Available in three color variants - Meteorite Black, Midnight Navy, and Dahlia Pink, the Honor Band 4 feels different on the wrist when compared to Xiaomi's Mi Band 3. The look and feel make Honor Band 4 more lifestyle-oriented, whereas the Mi Band 3 comes out as a more sports-oriented fitness band due to its curved capsule design. Unlike the Mi Band 3's removable capsule, the display module in Honor Band 4 is permanently attached to the silicon straps. This is a slight disadvantage as you cannot replace the silicon straps on Honor's Band later. On the other hand, Xiaomi allows you to customize the look and feel of Mi Band 3 by pairing the Mi band 3's capsule with different silicon straps of your choice. Amazon.in has a variety of silicon straps for Mi Band 3 with different color and material options. As far as the silicon strap's quality is concerned, both the manufacturers have used good quality material and none will cause any skin related problems even after prolonged use. Xiaomi's Band has slightly better material and look more premium than Honor's band. Another important design aspect is the lock mechanism. While the Mi Band 3 uses the same old button-lock mechanism, Honor Band 4 uses a standard buckle-lock system, which offers a slightly better grip during running and other workout activities tasks. Last but not least, Honor Band 4 comes with 5ATM rating making it 50M water-resistant. The Mi band 3 also has the same level of durability rating against water damage. I believe the deciding factor between the two bands is going to be the display. Mi Band 3 uses a 0.78 inch Black and White OLED screen with a touch capacitive button. Whereas Honor ups the ante by equipping the Band 4 with a bigger and vibrant color screen which is more pleasing to the eyes, offers better outdoor visibility and also feels more fluid to interact. The band sports a 0.95- inch AMOLED 2.5D curved screen with a resolution of 240x120 pixels. It's a full touch panel and offers a better viewing experience. If you prefer colored screens, Honor Band 4 is simply the band you should go for. The vibrant color AMOLED display on Honor Band 4 can show a lot of useful information. Honor Band 4 displays the time, date, weather data, device's Bluetooth status, steps taken, calories burnt and battery status. Long tap on the main screen to choose between three different watch faces depending upon the content you want to see on the screen. Besides, slide up and down to check the number of steps, and access other important features such as heart rate, messages, sleep duration, activity function, and settings menu. 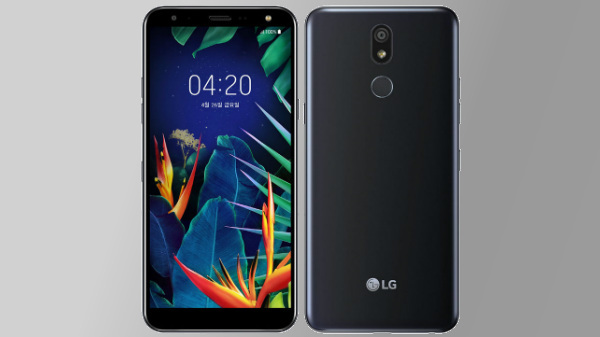 And while the band can display text messages, and notifications from apps like WhatsApp, Facebook, Instagram, etc, it 4 cannot show missed call data and weather information which is a letdown. It allows you to answer and rejecting calls which come quite handy in everyday routine. Like the other budget fitness trackers, Honor Band 4 can also track your steps, calories burnt, distance covered, heart rate and sleep data. As far as exercise and activity measurement is concerned, Honor Band 4 offers activity tracking features such as outdoor run/indoor run, outdoor walk, indoor/outdoor cycle, pool swim, and free training. These are tucked inside ‘Workout' tab and largely offer timers to help you keep a tap on your exercise activity. What's interesting here is that Honor Band 4 features HUAWEI's TruSleep monitoring technology, which is one step ahead of Mi band 3's standard sleep tracking. In addition to Deep sleep and Light sleep, the band is also capable to track REM sleep, nap time, breathing quality, and sleep time throughout the day. Additionally, to make good use of this data, the band also provides personalized sleep suggestions and 200+ suggestions to improve your sleep cycle which is a great feature. The Mi Band 3 falls short here as it can only track deep and light sleep. This can also be a deciding factor to choose between the two bands. Besides, the Honor Band 4 also offers continuous heart rate monitoring. It does that with the help of night infrared heart rate monitoring technology which does not hamper your sleep with bright lights. The band also shares heart rate warnings, which is a nifty feature for users with heart problems. Last but not least, Honor has put a lot of emphasis on swimming exercises which makes Honor Band 4 a very good affordable fitness tracker for avid swimmers. The band is equipped with a 6-axis sensor which automatically recognizes swim strokes, can record your swimming speed, distance covered and calories burnt during the swim time. Honor Band 4 is backed by a 100 mAh battery cell which can last for about two weeks if you don't enable the continuous heart rate monitoring and 24-hour sleep tracking. With these features turned on, the battery life reduces to 4 to 5 days a week max. In comparison, the Mi Band 3 lasts a little longer than Honor Band 4 in everyday routine as it is powered by a slightly bigger battery cell. At a price-point of Rs. 2,499, Honor Band 4 offers a good package of fitness-centric features, a colored AMOLED display, and a durable design. The band can help you lead a healthy lifestyle if you are ready to give wearable technology a chance. Notably, the comparison with Mi Band 3 is inevitable as both the bands are fighting for the title of the best budget fitness tracker. After testing both the bands, I can say that Honor Band 4 comes out as a more feature-rich budget fitness tracker. However, Mi Band 3 is affordable, lasts a bit longer and allows customizations to change the look and feel of the band in daily wear. In the end, it comes down to your sole requirements from a fitness tracker. If a color display is your priority, Honor Band 4 is the answer. If you are really serious about your sleep patterns, once again Honor Band 4 is the band I would recommend. If you care about long-lasting battery, affordability and band's customizations, Mi Band 3 is the one you should go for.